DVB-T stands for Digital Video Broadcasting - Terrestrial and it is the standard for broadcasting a TV signal via the air. This system transmits digital audio and video signals in the MPEG format. Your TV has an integrated DVB-T tuner that enables you to view free digital channels from the service provider. In order to view the encrypted/scrambled channels, you need either a Conditional Access Module (CAM or CI-Module) with a smart card or a Set top box depending on the implementation by the service provider. Consult your dealer or service provider about the possibilities for receiving encrypted/scrambled digital channels. If you wish to buy a CAM or to know which CAM is available for your TV, you may contact the dealer or service provider. Philips does not supply CAMs as an accessory. View More: Philips What is DVB-T? HDMI is the abbreviation of High-Definition Multimedia Interface. or an AV receiver to a compatible digital audio device and/or video monitor such as a digital television (DTV). HDMI makes an uncompressed digital RGB (Red, Green, Blue) connection from the source to the screen. By eliminating conversion to an analog signal, it delivers an unblemished image. The non-degraded signal reduces flicker and leads to a clearer picture. HDMI intelligently communicates the highest output resolution with the source device. The HDMI input is fully backward compatible with DVI (Digital Video Interface) sources but includes digital audio. HDMI uses HDCP copy protection. View More: Philips What is HDMI? The YPbPr is also called component video, is the highest quality interconnection standard for analog video. It is sharper than S-video and composite video. The component connection requires 5 cables, which are 3 video cables (Red, Blue, Green) and 2 audio cables (Red, White). View More: Philips What is YPbPr? The price is determined by the current market conditions and defined solely by the respective retailer. 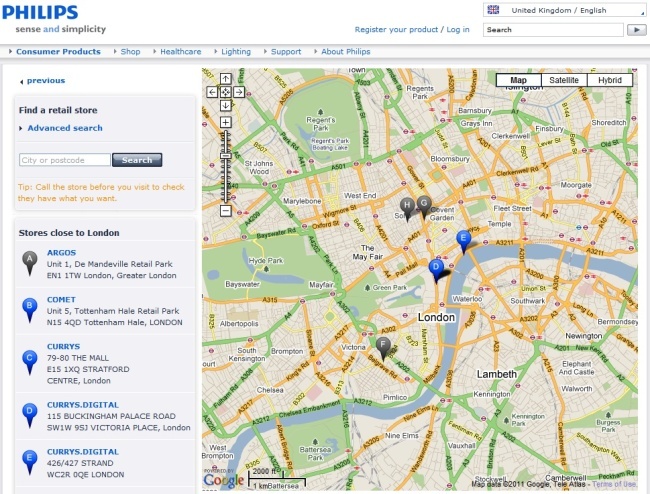 A retailer may sell the products at a higher or lower price than the price listed in our Online Shop. If the product is not available in our Online Shop, we advise you to visit the websites of your local retailers for price and availability information. View More: Philips Where can I find prices of Philips products? 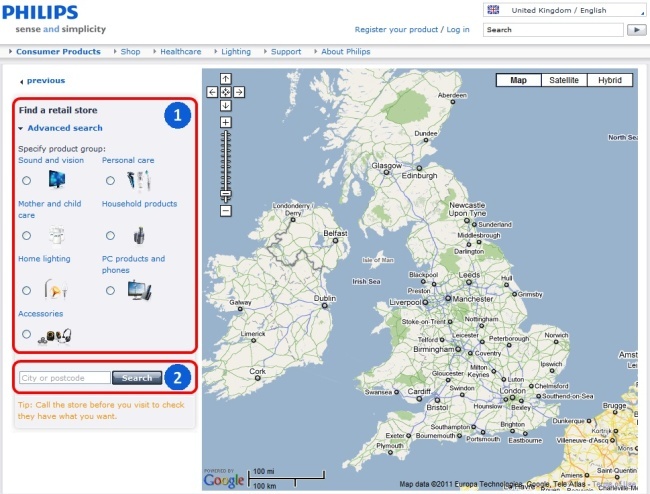 View More: Philips How to find a local store?